Plastic clip type leg bands are available in a wide range of colours and sizes to suit various breeds and uses. 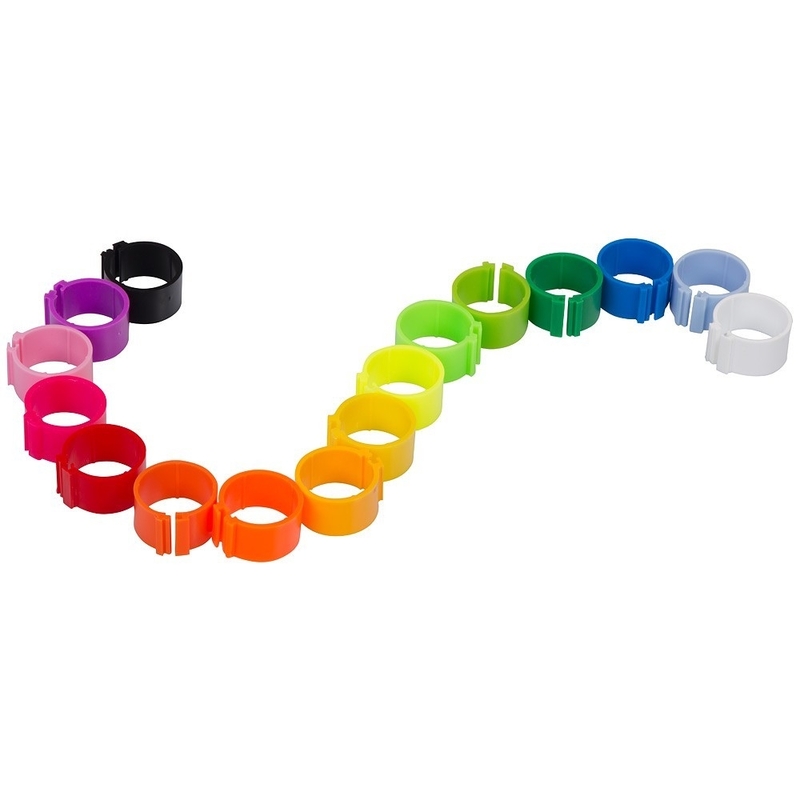 These are excellent quality rings, last very well and can be removed and reused if required. Our range of sizes are suitable from bantams to large heavy breeds plus water fowl. The clip band has a positive zip-clip arrangement. Great for identifying various lines or ages and fun for the kids to name their favourite chook. Please select colour from drop down list + select quantity required. Quantity will need to be re-selected per colour. Most popular size for larger sized breeds such as Sussex, Rhode island red, Orpington etc... Not suitable for large breed roosters. Suitable for Large / Heavy breed Chooks & Ducks - Ideal for large roosters, Muscovy ducks, geese etc. Brand New - latest Edition of the NZ Poultry Standards.